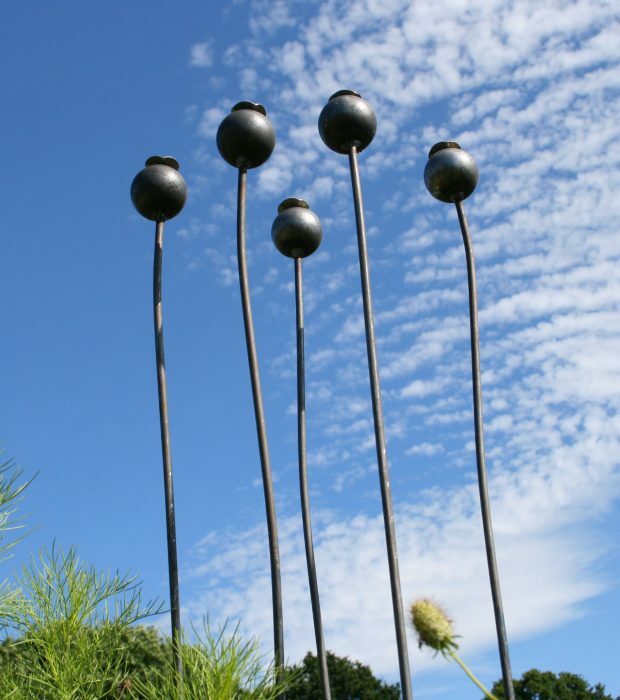 SKU: AuriculaStand Category: Decorative Tags: Auricula Theatre, Handmade, Metal, Planter, Wall Hanging. 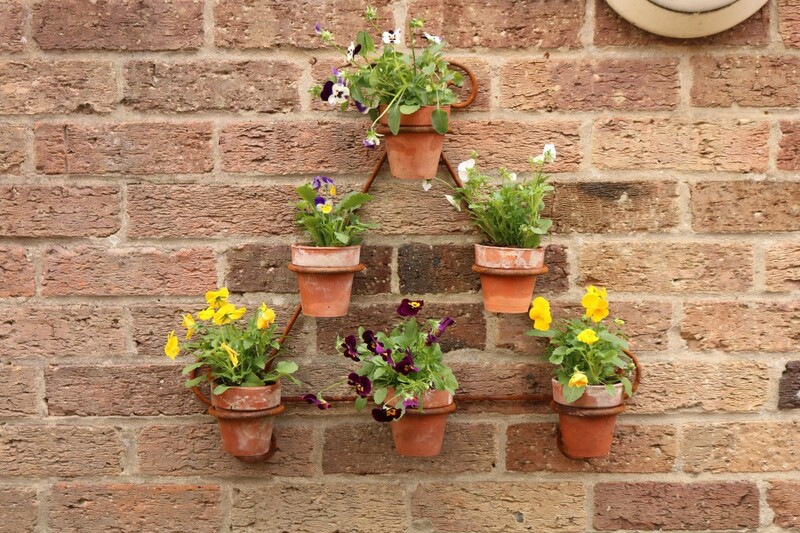 An auricula theatre which would look perfect hanging outside a garden shed or against a brick wall planted up with primroses, violas or herbs. 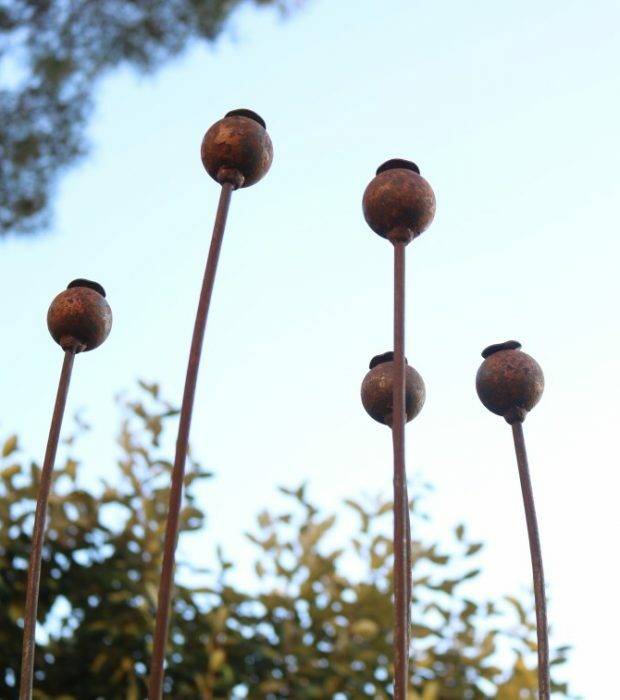 Made from 6mm solid steel bar with a natural rust finish. 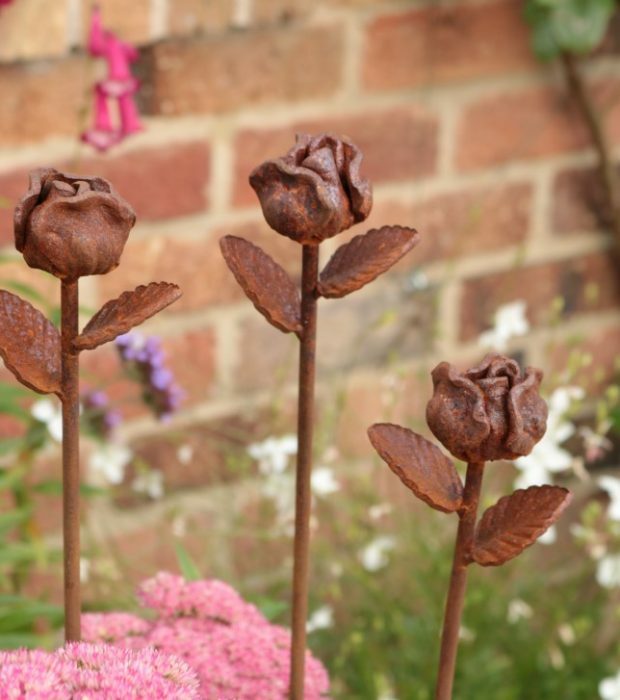 They maybe supplied as plain steel (just made) which will develop a beautiful rust coating very quickly or in various stages of rust patina according to the date of manufacture. Flowers and pots not included. Each ring internal diameter is 7.5cm.